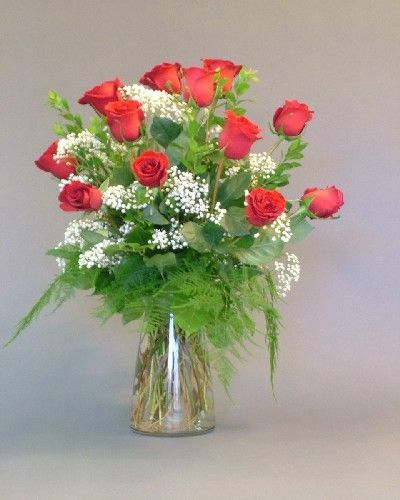 12 long stem red roses arranged in a vase with baby's breath and assorted greens. Also available in a variety of colors. Please call to place your order for additional color choices, or indicate your color choice under special instructions.